A little girl is spending her summer hunched over school books. Her mother wants her to be successful. They have moved to a new neighborhood in order for the little girl to be able to go to a prestigious school. The Mother has scheduled each hour of the Little Girl’s life to ensure that her daughter’s time won’t be wasted, and that her life will be a success. While The Mother is at work, the Little Girl labors over her lessons, until one day, their eccentric old neighbor, the Aviator, floats the Little Girl a story in a paper airplane. 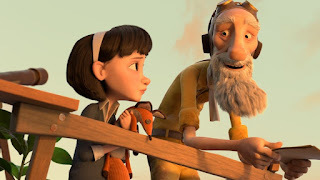 The Aviator tells the Little Girl fanciful stories of The Little Prince, who lived on an asteroid and loved the solitary rose that grew there. The Little Prince could not meet the rose’s demands, so he left, but always viewed the sky more beautiful knowing the rose was up there. The Little Prince would later take drastic measures to be reunified with the rose, but The Aviator isn’t sure whether it ultimately succeeded. 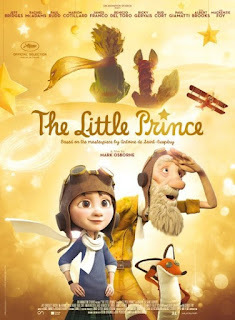 When The Aviator falls ill, the Little Girl tries to find the Little Prince, hoping to save the Aviator. She finds that he has lost his sense of childhood. Before the other adults can make the Little Girl give up her childhood in favor of a no-nonsense adult life, the Little Prince remembers himself. The Little Girl takes him back to his asteroid, and then she and her Mother visit The Aviator in the hospital. The Little Girl will be able to go to the prestigious school while still remaining very much her childlike self. Adoption is not an element of this story. Kids who have experienced neglect prior to coming into foster care might find some similarities to their own experience. The Little Girl alludes to the fact that her father is absent, and her Mother is gone at work for much of the day. The Little Girl is also being led away from childhood in favor of adult responsibilities; older siblings who have experienced neglect sometimes find themselves taking on adult-level responsibilities for their younger brothers and sisters. One of the tasks for these kids once they’re in a safe and nurturing home is to learn how to be a child again. These kids might connect with the Little Girl as a safe neighbor helps her reclaim some of her childhood. The word choice sounds a little weird to use between people, but the concept is great – we go from needing a “general” someone to needing a specific Someone. Kids initially need a nurturing parent, but eventually they need You. You feel the need to parent, but eventually you need Your Specific Kids. It works that way with spouses and friends and pets and places; our general, categorical needs are replaced by felt needs for specific people, and somehow, that’s a good thing. On Maslow’s Hierarchy of Needs, that’s probably described as someone getting their survival and safety needs met and moving on towards getting their love and belonging needs met. All that, from a fox in an animated movie. The Aviator suggests that, if you hold people in your heart, you’ve not lost them and you’ll never be lonely. The Little Girl is able to regain a sense of her childhood and is still able to attend the prestigious school; in fact, her biggest challenge seems to have been the overexertion imposed on her by her well-intentioned Mother. Her Mother is finally able to join her in stargazing. The film offers a hopeful distinction: growing up is not a problem; the only problem is forgetting. The Little Girl spends a lot of time with her neighbor, a strange older man, and her Mother does not know about it. He even takes her in his car to get some pancakes before her Mother even knows that the Little Girl has met him. He is a safe person, but in real life, this could be pretty dangerous. For a moment, it seems as though the Little Prince agrees to be killed in order to regain an aspect of his childhood, but this does not turn out to be true. When the Little Girl says she has made a friend, the Mother shows little interest, and only comments that, if the Little Girl studies hard, she can see her friend for a half-hour a week, starting next Summer. 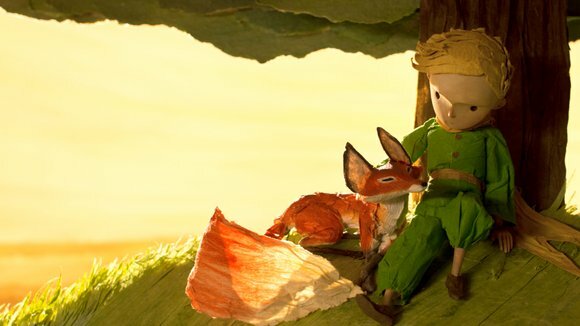 The animation in The Little Prince makes it feel friendly for even very young kids, but it seems like it will be best appreciated by kids ages 8 and up. After watching it, families could talk about how families are formed, the importance of getting to be a kid, and the value of memories. This one is worth checking out, and is available streaming on Netflix. In what ways should being a kid be like being an adult? In what ways should they be different? What memories do you like best? What would it be like to live on your own little asteroid? What does the fox mean when he talks about being “tamed?” What does the Little Girl mean when she talks about it? How does a family become a family?